YOUR DONATION CAN DELIVER THE GIFT OF SIGHT. Every dollar will make the gift of sight possible for children around the world and here at home suffering from severe corneal defects. Your partnership enables us to continue our mission to cure debilitating eye diseases. Your donation will help us propel cutting-edge research, public education and outreach, and to provide new and innovative treatments, drugs and therapies to patients with eye disease. Honor a loved one today by making a tribute, or please consider partnering with one of our Research Programs. We welcome testamentary gifts and offer you the opportunity to give through wills and living trusts, life insurance, income for life, real estate and stock. We advise you consult your financial planner regarding your gift or call the foundation directly. The reward and the gift of giving can be the gift of sight. Thank you for your support. 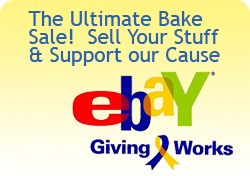 "Join Cure Keratoconus to make an immediate impact"
"Donations for Vision" We have an Ebay Store! The Eye Defects Research Foundation, is a non-profit organization founded in 1994, as a Public Benefits Corporation under the Nonprofit Public Benefit Corporation Law, Section 501 (a) as described in Section 501 (c) (3). In accordance with the Internal Revenue Service Code, contributions to this foundation are tax deductible. Your gift today offers the gift of sight to those suffering from blinding eye disease. Our partner, DonatingIsEasy, accepts cars, trucks, trailers, recreational vehicles, boats, as well as real estate and your donation will impact millions suffering form blinding eye disease.